Built in 1860, this unique waterfront farmhouse with a sprawling lawn leading to 250' of deep water front offers a spacious four bedroom home with the charm of the old mixed with some modern conveniences. Additionally one will find an attached barn, a delightful sunroom and a great brick patio where all can enjoy the spectacular views of the mountains, the outlying islands and the Western Way. There are two kitchens and two fireplaces which makes this property ideal for a family compound. The electrical system was updated and a septic system installed in 2003. This property has been a desirable rental for years and the 3.75+/- acres allows for one or two additional homes. In all a very desirable offering. 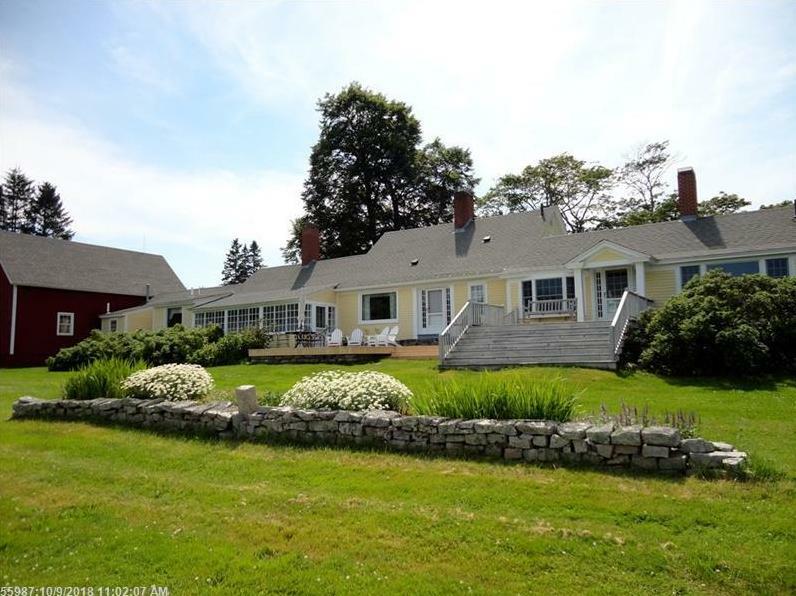 435 Seawall Road (MLS #1367759) is a farmhouse single family home located in Southwest Harbor, ME. This single family home is 1,612 sqft and on a lot of 163,350 sqft (or 3.75 acres) with 4 bedrooms, 4 baths and is 159 years old. This property was listed on 12/07/2018 and has been priced for sale at $3,500,000. Nearby zip codes are 04612, 04625, 04653, 04660 and 04662. This property neighbors other cities such as Bar Harbor, Cranberry Isles, Mount Desert and Tremont. Listing Last updated 01/23/2019 4:42 PM CST . Some properties which appear for sale on this web site may subsequently have sold or may no longer be available. Walk Score provided by Walk Score. Mapping data provided by Google and Bing. Listing data is derived in whole or in part from the Maine IDX and is for consumers' personal, non-commercial use only. Dimensions are approximate and not guaranteed. All data should be independently verified. � 2019 Maine Real Estate Information System, Inc. All Rights Reserved. This web site does not display complete Maine Listings. Certain Maine Listings of other real estate brokerage firms have been excluded.